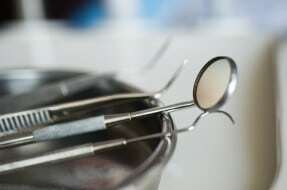 A blog considering the use of thermal expansion in dental fillings. I recently read in the press that a team of researchers have identified a method which may create longer lasting fillings by the use of thermal expansion. Thermal expansion is the tendency of a matter to change in shape, area, and volume in response to a change in temperature, through heat transfer. The researchers used star shaped structures which they created by the use of 3D printing, which are able to heat more uniformly than other materials. The structures exploit a principle known as negative thermal expansion, in which a substance like ice shrinks instead of expanding when heated. The team of researchers reported their findings in Physical Review Letters and report that this could mean longer lasting artificial fillings. Fillings can last for many years, up to 15 years or longer, but some fillings may need to be replaced in 5 years. It is thought that the average lifespan of an amalgam filling is around 12 years. It is important that you attend your dentist for regular check-ups and during the appointment your dentist will examine your fillings. If a filling is cracked or leaking, your dentist may need to take x-rays to determine whether there is any decay underneath the filling. For some people, fillings may not last very long, if they clench or grind their teeth as this can cause fine cracks to appear. If the filling has not been adequately prepared, the mixture may not bond properly to the tooth tissue and this may cause the filling to fall out or cause a gap, which could then allow further decay to form, and lead to long lasting toothache as the pulp of the tooth becomes infected. Further, if the edges of a filling are not smoothed down or shaped correctly, this too can lead to toothache and have an impact on the neighboring teeth or gums. In severe cases a person may lose their tooth if the filling cannot be replaced and the tooth has developed further decay which can no longer be treated. Hopefully this research will lead to longer lasting fillings, but currently it is not clear on how much longer these fillings would be expected to last. If you consider you have received poor fillings, which have caused you problems, please contact the Dental Negligence Team, who will be happy to assist.